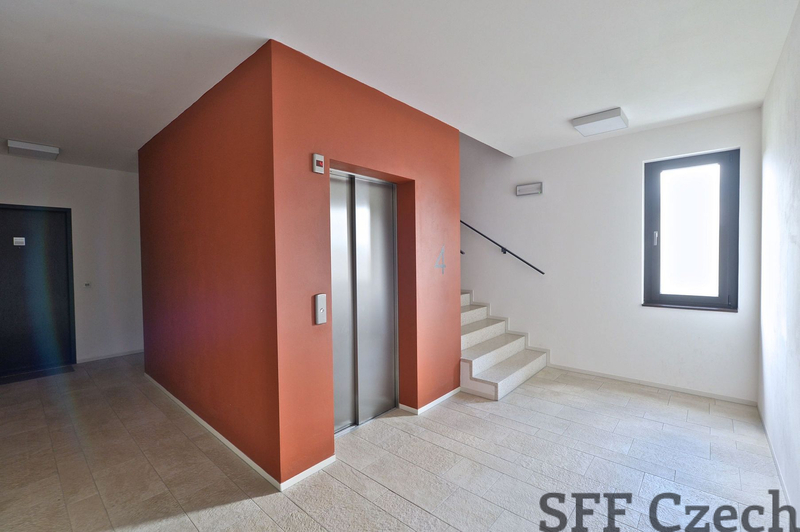 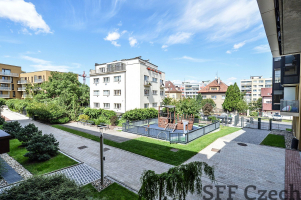 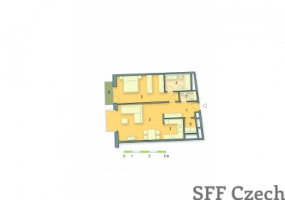 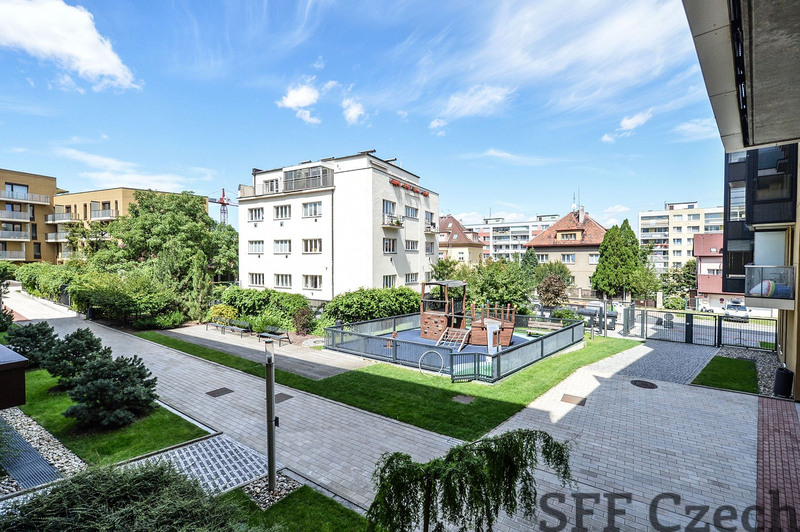 The long term rent of furnished apartment 2 + kk (72 m2) with balcony (3m2) on the 3rd floor of modern new building with reception and security, park, playground and underground parking. The apartment consists of living room with fully equipped kitchen, bedroom with balcony and built-in wardrobes, bathroom (bathtub with shower, 2 sinks, bidet, toilet), washing machine and dryer, additional separate toilet and entrance hall with built-in wardrobes. 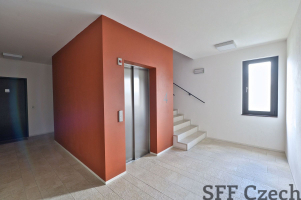 Wooden floors, marble tiles, security entrance door, French windows, front and inner blinds, dishwasher, basic utensils, TV, cellar (4.7 m2), entrance to the building on the chip, elevator. 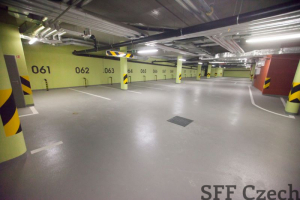 Garage parking space included in the rental price. 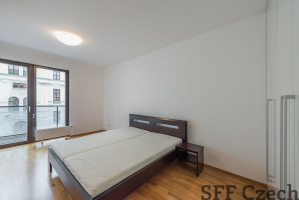 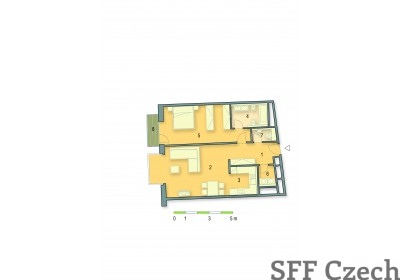 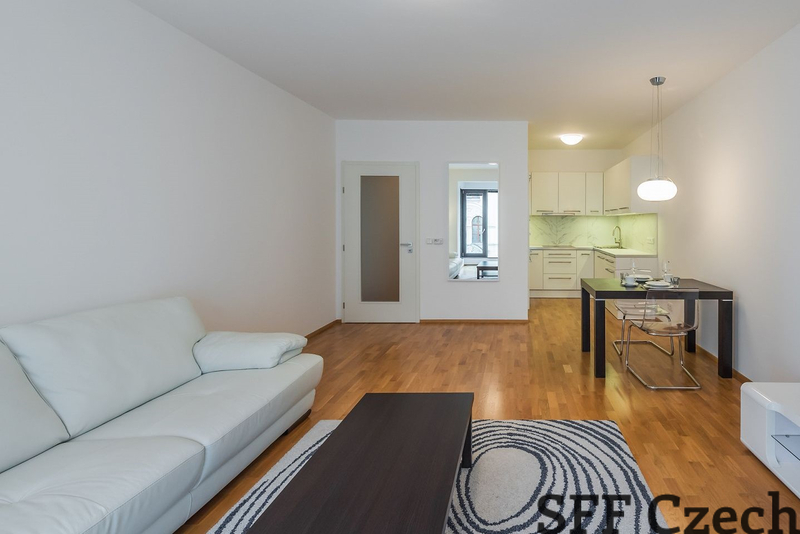 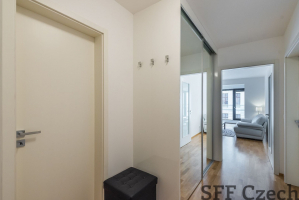 Monthly rent: 26.000 CZK + 4.900 CZK monthly advances for common services and energy consumption.